Size: SmallMediumLarge Color: Assorted BrightAssorted CalmRed/Red/GreyBlack/Red/GreyBlack/YellowBlack/Blue/GreyBlack/Black/Grey This item is currently out of stock! Made when ordered here in our factory in Portland, Oregon, and winner of the Guides Choice Award, the 45L WorkSack is one of the best packs for climbers in the world. They even work for skiers! Check out the wildsnow.com review which starts out by saying "CiloGear is perfect..."
The CiloGear 45L WorkSack is the lightest pack on the market for serious alpine climbing. It's durable, incredibly versatile and comfortable carrying a real climbing load. 45L WorkSacks are routinely used by many of the best alpinists in the world to do the hardest routes. The pack balances climbing features and load carrying performance with durability and lightness. 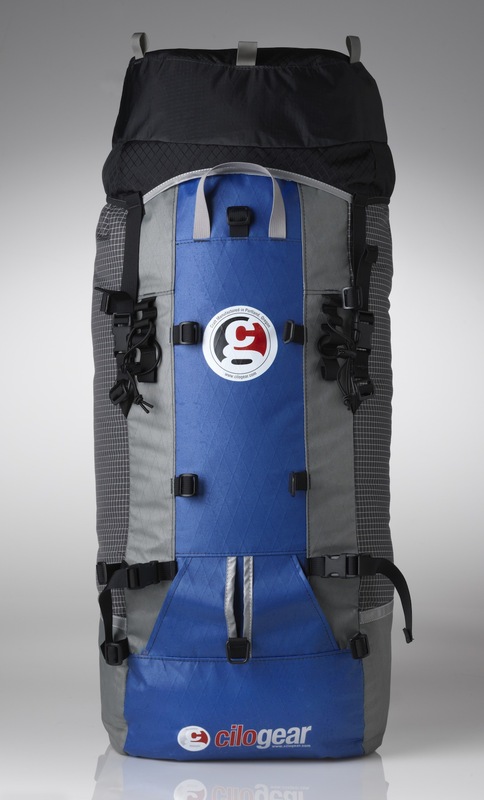 The design of the 45L WorkSack, CiloGear uses the Gu Rule: if it weighs more than a pack of Gu, it's gone: We lose the crampon pocket and use lighter weight materials throughout. Over the past eight years, 45L WorkSacks became the choice for alpine climbers around the world. This is the same size and design that Kelly Cordes used to climb his link up on Cerro Torre with superman stand-in Colin Haley. All Cilogear 45L Worksacks feature a removable framesheet with aluminum stay, bivy pad, strap set, lid, sternum belt and hip belt. Additionally, our sewn-in Ninja Pocket exists to stash small items near the top of your pack.